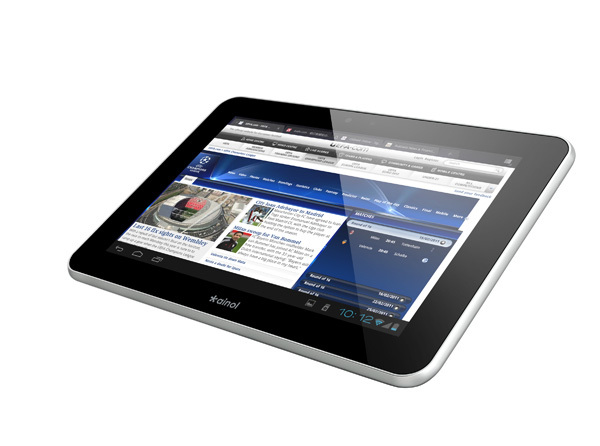 Ainol Novo 7 Flame (aka Fire, Burning) is the newest and the only 7″ tablet with 1280×800 pixel 180 degree viewing angle IPS capacitive screen (the same screen as seen on Google Nexus 7 ) and runs Google Android 4 .0.4 Ice Cream Sandwich . NOVO 7 Flame is powered by a 1.5GHz AMLogic ARM 2nd generation Cortex-A9 based dual-core CPU. It has dual-camera – 2MP front facing webcam and 5MP rear facing camera. NOVO 7 Flame (Burning) has HDMI port to let you play video on your big screen HD TV. 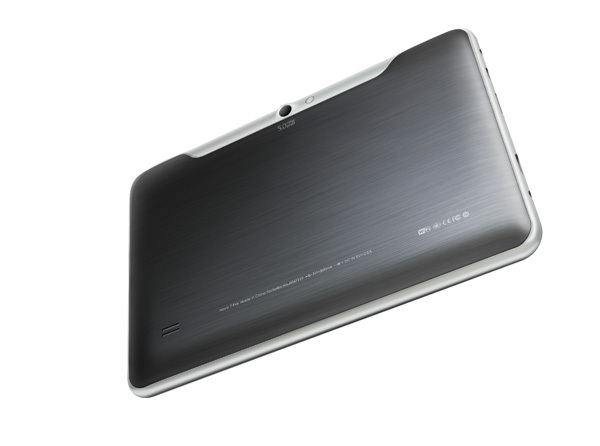 It is the only one with ultra-thin metal case in all Ainol tablet models. Ainol NOVO 7 Flame (Burning) has Google Play (Android Market) pre-installed. Ainol added bluetooth support and increased the battery capacity to 5000 mAh in the last minute (see our latest news). Please go to our shop to purchase this product. Ainol has taken our advice, and officially changed the name of this tablet from “Burning” to “Flame”. Ainol NOVO 7 Fire is Chinese version, while Ainol NOVO 7 Flame is the English version . 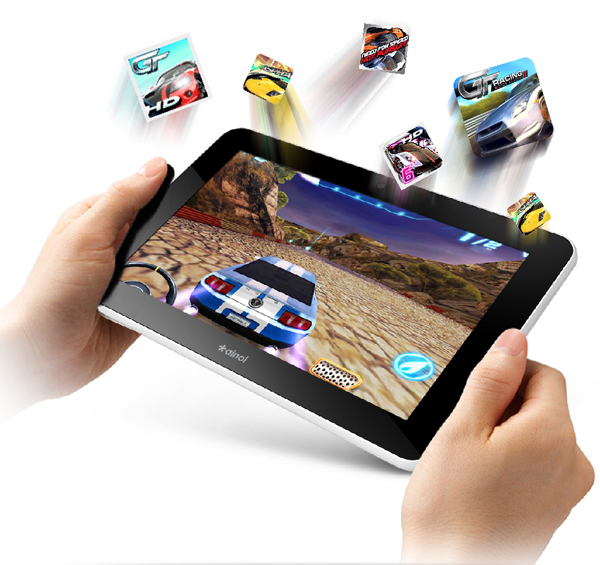 In addition, Ainol always picks the top quality tablets from their QA test for oversea market. Those Chinese edition selling in China by the Chinese online store doesn’t have the same quality as the English edition. HDMI cable is included in the English edition as free gift. 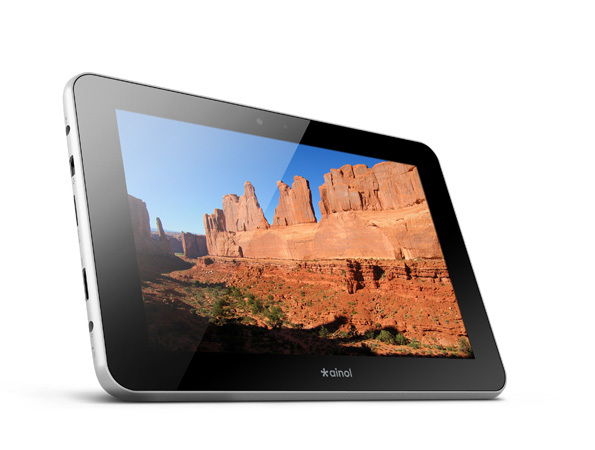 Ainol NOVO 7 Flame (Burning) ($169.99 from uPlay Tablet , Ainol’s oversea distributor ) has an 1280×800 pixel IPS 7 inch screen – The high end screen you only see on Google Nexus 7 . 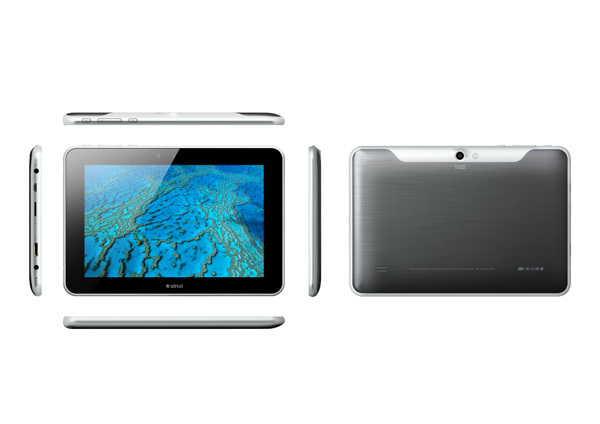 This adds an amazing clarity to all images on the tablet, as well as allowing viewing from almost any angle! It has better black color than normal screen, and has much faster response than normal screen as well, which is good for playing games and watching sports and action movies. Enclosure – The case for the Ainol NOVO 7 Flame has a metal back with curved edges that makes it a pleasure to be hold in your hands. 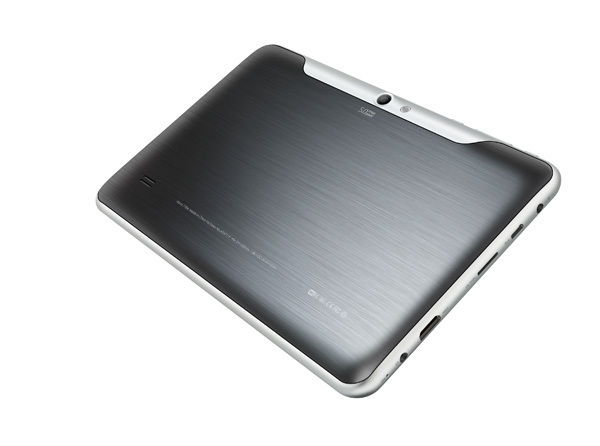 The body is ultra-thin and made of metal – giving a high class look and feel. Ainol NOVO7 Flame (Burning) is running the latest Google Android 4 .0.4 Ice Cream Sandwich . Android 4.0 is the first unified Android operating system for phones and tablets . In term of usability it is quite close to Apple iOS. In addition to a few screens that you can slide left and right, there is application pages where you can see all applications. Android has widget, which you don’t see on Apple iOS. Widgets are small apps that you stick to any screen. Ainol NOVO 7 Flame (Burning) is running the latest 1.5GHz dual-core AMLogic 8726-MX (ARM Cortex-A9 based) processor and Quad-Core Mali 400 GPU. AMLogic is a fabless design company located in Silicon Valley. Comparing with other CPUs used in Chinese made tablet, AMLogic’s ARM CPU has better compatibility. ARM Cortex-A9 is the second generation of ARM CPU, which you see also on other main stream tablets , such as Apple iPad 2, Amazon Kindle Fire, and Google Nexus 7 . 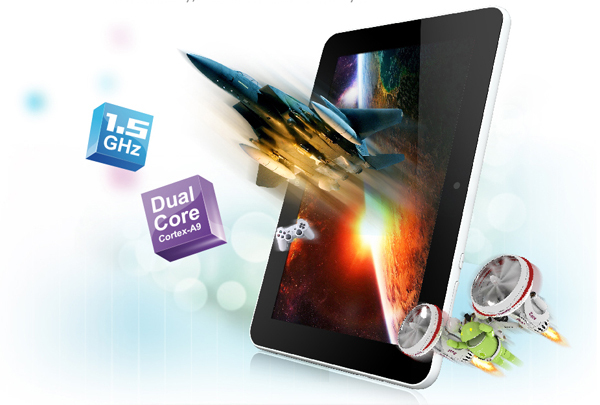 AMLogic 8726-MX is the first dual-core CPU on Chinese made tablets. In term of performance it is slight faster than the CPU used in Apple iPad 2. Ainol NOVO 7 Flame (Burning) has a super large 5000 mAh battery. 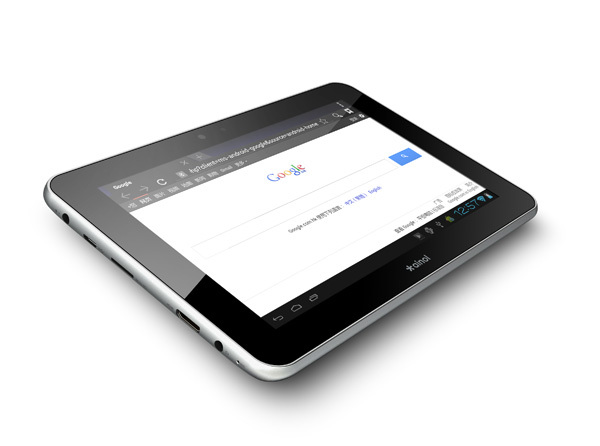 Most of the low end tablet makers are trying to use the low capacity or low cost battery to cut cost. Ainol always choose the biggest capacity and the best quality battery to give the best user experience. Combining with smart power management, it will give a super long battery life. With one full charge it can play video for 7 hours, audio 20 hours, 3D game 5 hours, and surf web for 5 hours. The standby time with screen saver is 30 days. Ainol NOVO 7 Flame (Burning) has both front facing and rear facing camera. 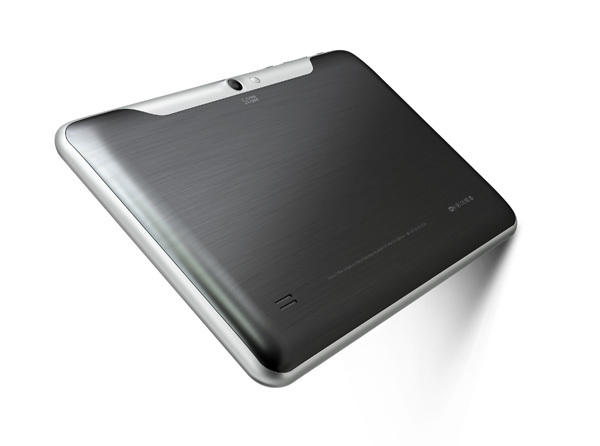 The built-in 2MP HD front facing webcam on NOVO 7 Flame (Burning) supports photo, video shooting, and teleconference. The super high resolution 5MP rear facing camera shoot beautiful pictures – you don’t need to carry your point-and-shoot camera any more. The resolution of those cameras are higher than what you see on Apple iPad 2. 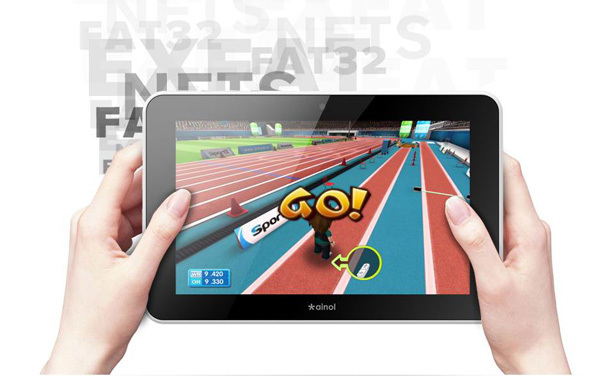 In the English version Ainol NOVO 7 Flame (Burning) from uPlay Tablet , the Google Play (Android Market) is pre-installed. You can access and download more than 400,000 apps directly from your tablet. 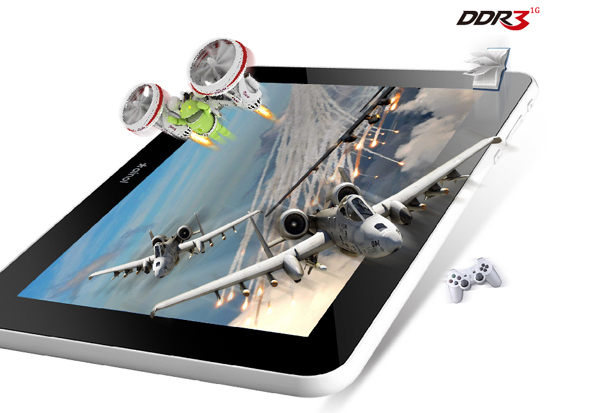 This is one of the most important factor when buying a tablet. 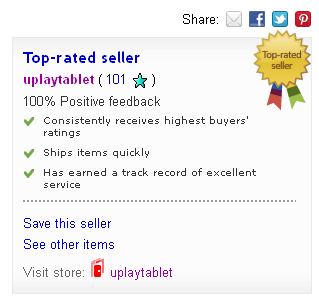 Not every tablet has the official Google Play pre-installed. 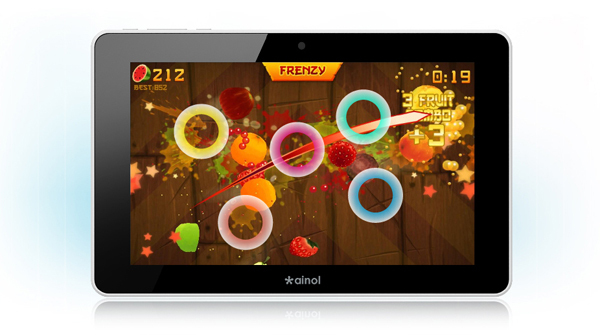 Ainol NOVO 7 Flame (Burning) has a dedicated hardware rendered FLASH. 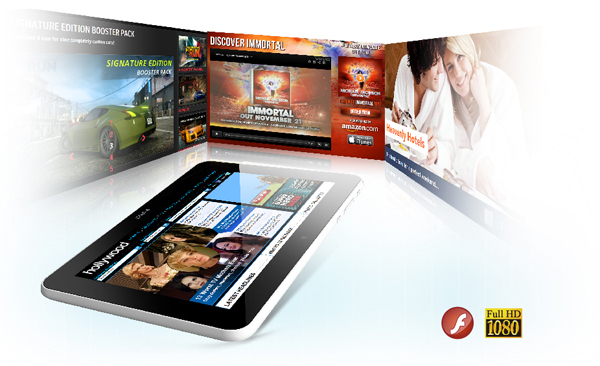 You can watch YouTube and other flash-based Internet video sites directly and very smoothly in the browser. Google Nexus 7 doesn’t support FLASH any more. So, you cannot watch videos in browser. NOVO 7 Flame not only supports FLASH, it also uses its CPU and GPU to accelerate the render, which results a very smooth video. Ainol NOVO 7 Flame (Burning) supports Full HD 1080P and other HD formats. Flame (Burning) can automatically recognize HD TV connection, and output video signal to TV. It displays on both tablet and TV for all operations. This is one of the major advantage than Google Nexus 7 , which does not have HDMI port. 1GB DDR3 RAM – this allows for numerous tasks and apps to be run at the same time with no loss in speed or responsiveness in Ainol NOVO 7 Flame (burning) tablet. Furthermore this allows data to be processed faster, meaning 3D games run better than ever! 5-Point Mult-touch plus ALPS touch buttons, 1280×800 pixel high resolution, 7 inch IPS 180 degree angle display, gives you excellent performance for playing games and watching videos on Ainol NOVO 7 Flame (Burning). This is the same screen as used on Google Nexus 7 . Ainol NOVO 7 Flame (Burning) uses industry leader Broadcom’s latest WiFi Chip. It supports WiFi standard 802.1 b/g/n with a maximum speed of 300M, and also support external 3G dongles (see supported 3G dongle list at the end for more details). This is another factor when buying tablets, especially those Chinese made tablets. 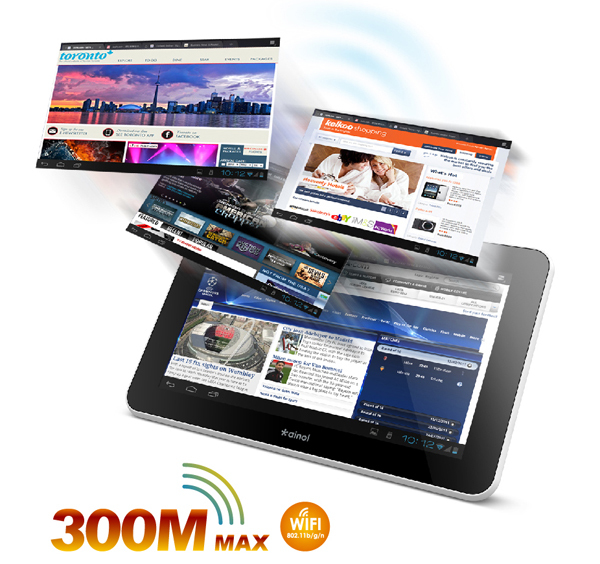 Many Chinese made tablets are using WiFi chips made by domestic companies, which has compatibility issues. Broadcom is the leader in WiFi and other communication chips, so you know you will get the best compatibility and fastest connection speed. NOVO 7 Flame (Burning) has 3 axis gravity sensor, super sensitive. NOVO 7 Flame (Burning) has added bluetooth 2.1 support. You can connect it with Bluetooth earphone, keyboard , and other bluetooth devices. uPlay Tablet carries English version from Ainol. All other online stores are selling the Chinese version even if they are lucky to get a hold of NOVO 7 Flame (Burning). 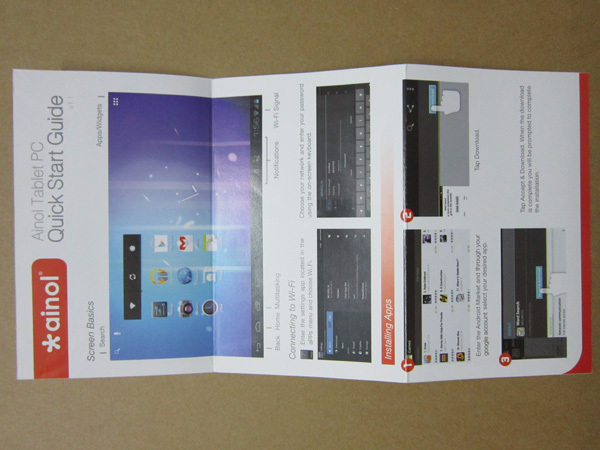 This English version Flame (Burning) includes English language and apps on the tablet, English package box, and English manual. 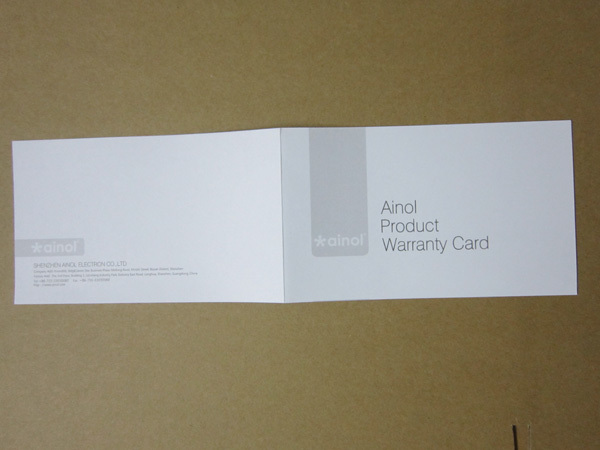 The English version of Flame (Burning) comes with Ainol Product Warranty Card in English. In the package box of the English version of Ainol NOVO 7 Flame (Burning) you can also find the Quick Start Guide in English. 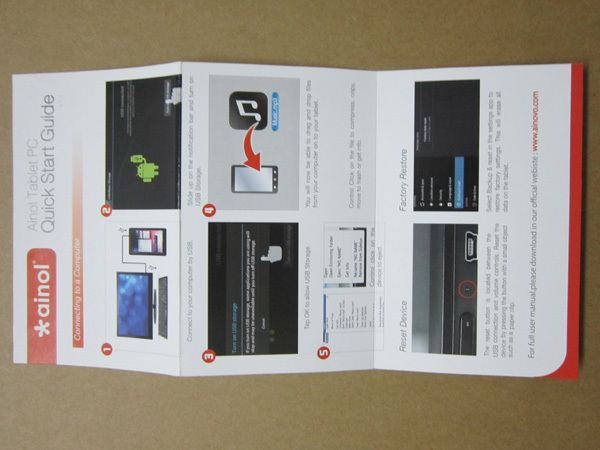 The front side of the guide shows how to connect Ainol NOVO 7 Flame (Burning) to computer to download images and music. Notice the difference? The main difference is that the Novo 7 Flame (Burning) has a 1280×800 IPS Capacitive Screen while the Novo 7 Aurora II has a 1024×600 IPS screen . NOVO 7 Flame (Burning) has dual-camera, while Aurora II has only front facing camera . NOVO 7 Flame (Burning) uses metal case , while Aurora ’s case is plastic. NOVO 7 Flame (Burning) has added Bluetooth support and upgraded its battery to 5000 mAh. For those who do not know what IPS is, IPS stands for In-Plane Switching which was developed by Hitachi back in 1996. An IPS display gives you a better display, more vivid color, and a wider angle for viewing. See the comparison below. Ainol NOVO 7 Flame (Burning) is Ainol’s latest top-end 7″ tablet 1280×800 IPSIPS screen English Edition for oversea Market, only available from Ainol’s oversea distributors. Black Metal Shell. The shipping cost is $14.95 no matter where you are. 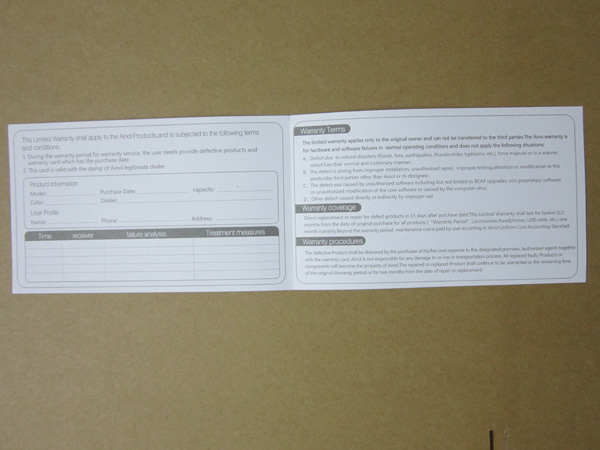 We use Hong Kong Post Registered Air Mail with a tracking number (signature required at delivery). You might be able to find some online stores selling Ainol NOVO 7 Flame (Burning) for a few dollars cheaper, but all of those stores are selling the Chinese version for the China domestic market – the default language in the tablet, reference manual, product warranty card, and package are all in Chinese. Most of those stores are based in Shenzhen, China. It would cost your $40~$60 to ship your tablet back to them if you need replacement or repair, while uPlay Tablet is Ainol’s distributor in North America, our office and customer service are in Silicon Valley, California, your return and repair are handled in California as well. Check out our Ainol NOVO 7 Flame (Burning) support forum. Have a question about this tablet? ask your question here. You will get answer by email. I was able to get a hold of Ainol NOVO 7 Burning at the Hong Kong show two months ago - I was truly amazed by its beauty. It's hard to believe it's made by a Chinese company - I guess they have learned the tricks from Apple, now they are making Apple quality products with much lower cost. Any way, I felt NOVO 7 Burning gave me everything I want - the metal finish is so perfect, making it look like an art. You want power? The dual-core CPU and quad-core GPU are so fast, I don't think I need anything faster. You want clarity of picture? Well, the 1280x800 IPS screen with 180 degree view angle is the closest one to Apple's Retina Display that you can find. You need more storage? It can add another 32GB storage on top of 16GB flash memory. You want a high quality point-and-shoot camera? the 5MP rear camera is certainly good enough to replace your pocket size camera. Want to watch FLASH videos? It has the best hardware rendered FLASH. The only thing missing is bluetooth and GPS. That's nothing to do with Ainol, that's because the AMLogic reference design doesn't support bluetooth. Hopefully they will add it in the next generation.